In Ringwood, New Jersey, a six month old bear cub (species not given) decided to treat himself to some animal crackers. Naturally, the best crackers are at the bottom of the container so he wedged his way to get every, last crumb. Unfortunately for the peckish cub, his head would not come out when the snack was over. 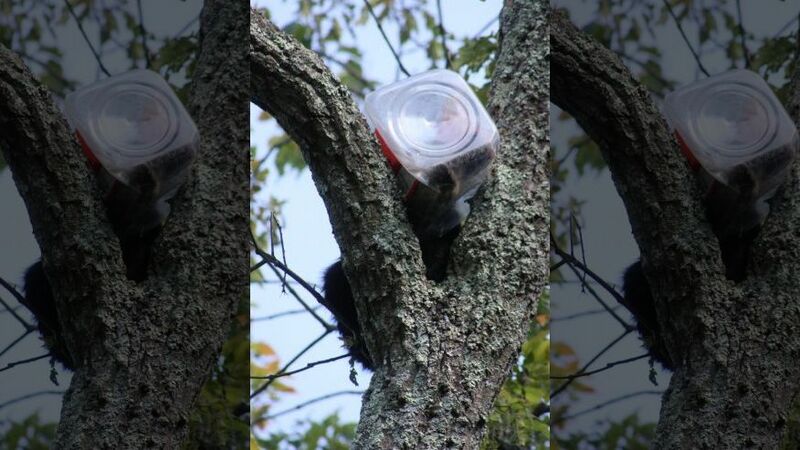 When rescuers approached the cub he scampered up a tree and became wedged in the tree branches while still being stuck in the jar. Oh, Bother. Environmental Protection Department agents set nets around the tree in case the bear panicked and fell while a staff biologist was called in to sedate the bear. Once tranquilized, rescuers removed the 28-lb cub from the tree and carefully cut off the plastic head-gear. 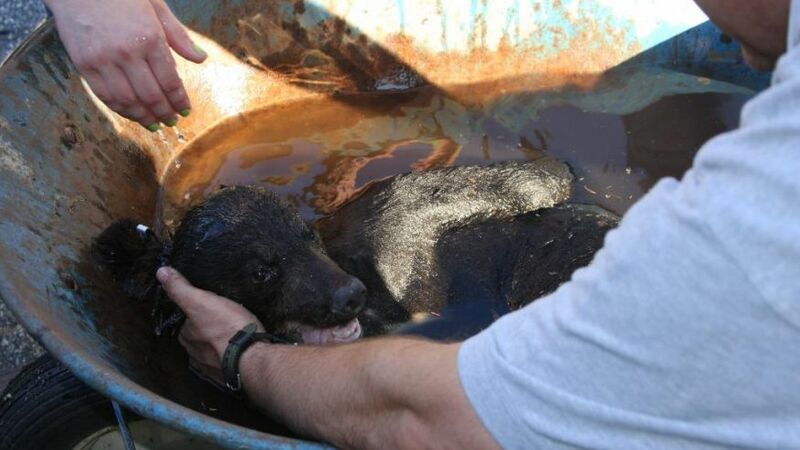 Next rescuers bathed the cub in cool water, reversing the dehydration and over-heating caused by the traumatic experience. The cub is now currently in a rehabilitation facility with a good prognosis for return to the wild. Why Did the Duck(s) Cross the Road?